Romantic days call for romantic hairstyles. <3 Keep reading to see what we have up our sleeves for you! What do you have planned this Valentine’s Day? A romantic moonlit dinner? Perhaps a stroll on a horse-pulled carriage? Or let’s be real– a night in (no shame in our cozy game)! No matter the setting, we have suggestions for you to look and feel the absolute best you can. Don’t forget to tag us on Instagram and Facebook once you try these hairstyles! One: It’s basically our motto: when in doubt, CURLS CURLS CURLS. One of our bloggers, @whitneynrife, did it perfectly. 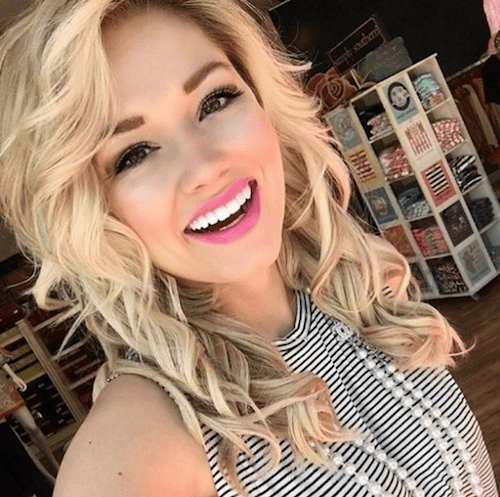 She used a 1″ curling iron to create tighter curls, followed by spritzing it with hairspray and piecing it to give it a carefree feel. Discover how to curl your Hidden Crown HERE. Two: Get a lil’ fun with a fun lil’ braid. 😉 Braids fit absolutely any occasion and always impress all. Bonnie created a braid to frame her face and accent her make up. 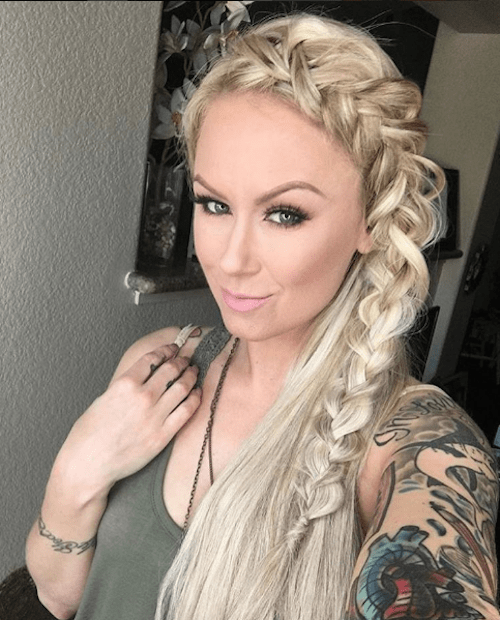 Learn how to create several different braid styles with your extensions HERE. Three: You’re a present. Whoever you are with, they are blessed to have you in their presence. With that said, you need a bow on your head. 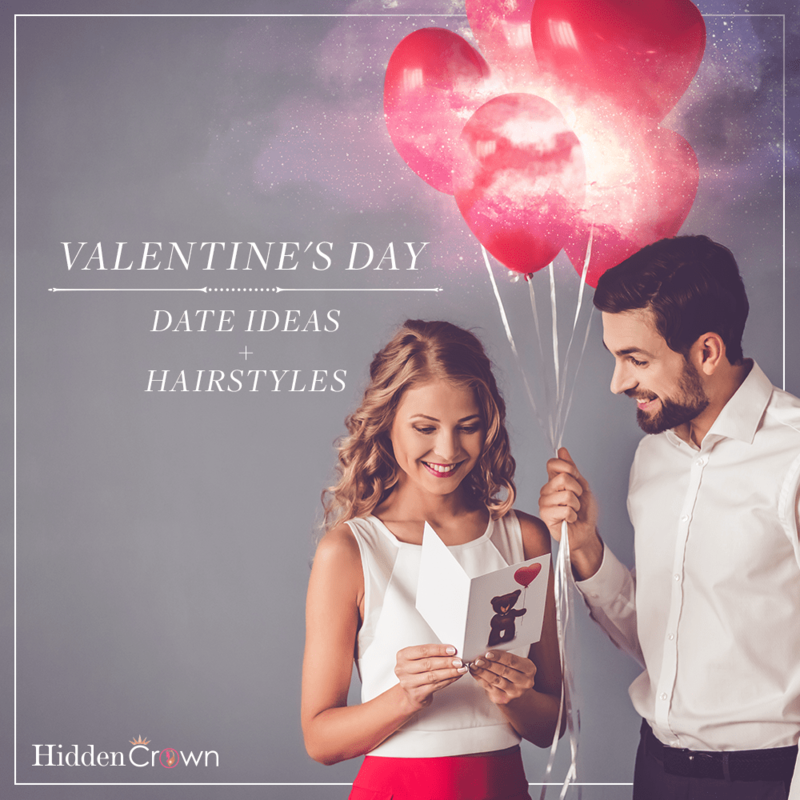 Watch our YouTube video below to see how to create a fun Valentine’s Day bow on your head. So, tell us! Which hairstyle will you be trying? Tag us on Instagram for a chance to repost your Valentine’s pic! Or email us at accounts@hiddencrown.com.